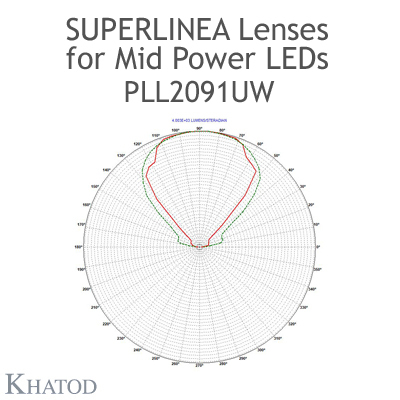 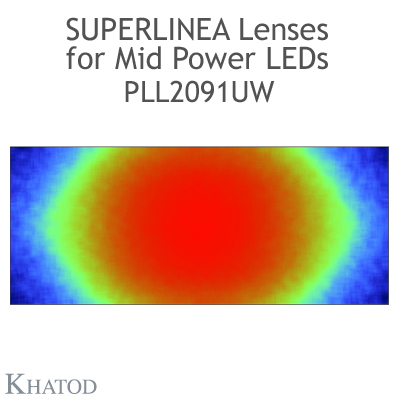 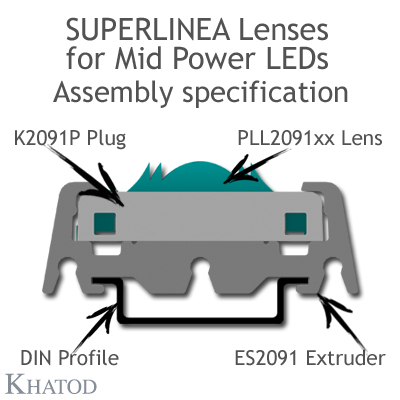 "SUPERLINEA Lenses for Mid Power LEDs"
Linea Lenses offer exclusive installation also in continuous rows made of limitless number of parts by simple fastening. 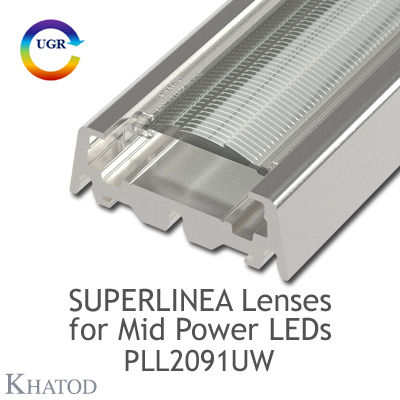 Ideal for use in narrow width luminaire designs, in architectural and decorative applications. 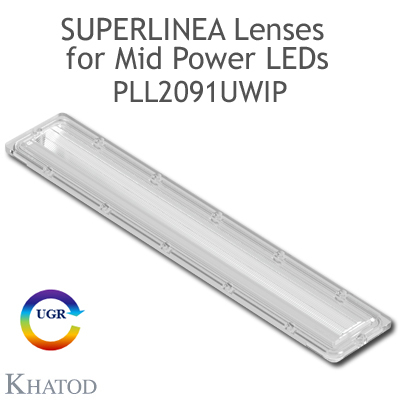 **PLL2091 series is made of the same material used to produce PLEXIGLAS® Solar which guarantees it will show no yellowing for 10 years.